Prolonged time spent on sitting can kill you. It sounds crazy, but it’s the truth. Numerous researches have been conducted to identify the harmful effects it can cause to our health. Although they are still trying to figure out the reason, it is a common knowledge that sitting too much results to negative health effects. That is why it is recommended for office workers to get up and take movement breaks throughout the working day. Since it easier said than done to leave your work behind during office hours, many workers are finding their way to manage their health and work at the same time by setting up standing desks. Standing desk or stand-up desk comes in different styles. 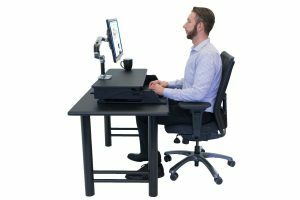 However, all kinds look like raised tables designed for the users to stand up instead of sitting in order to have a few swift movements while doing desk jobs. There are versions of standing desks that are manufactured, while some workers customized their own. Whether they are manufactured or not, they still come with the same goal which is to reduce the harmful effects too much sitting can cause to our body during the day. While you’re thinking whether or not you’re getting yourself a standing desk, you have to know the good things that come with it. 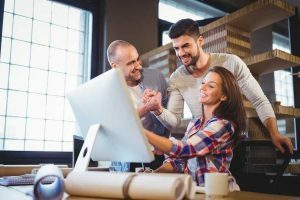 You’re not installing it to be popular among other office workers but because of the benefits it can provide to your health. Well, here are some reasons why you should consider purchasing a standing desk. Exercise with the right diet is the best way to prevent obesity. When using a stand-up desk movement habits are changed, making us exercise a bit. Standing desk advocates say that office workers who sit less than the other workers do not gain much weight. Just by standing up, making slight movements or by even walking to the bathroom, they are burning more calories. Therefore, sedentary workers should really walk around more often. The bottom line is – standing is just the beginning to finally experience optimal health. 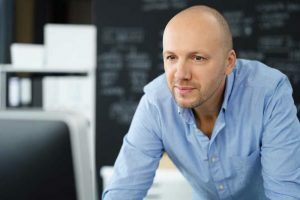 Study shows that prolonged sitting showed a strong connection with ovarian, prostate, lung and endometrial cancer, although the cases weren’t as conclusive. While the answers are still in debate to why sitting appears to cause these types of cancer, the possibility that there is an increase C-reactive protein for the people who sit for long is certain. Since prolonged sitting is related to cancer, obesity, heart disease and diabetes, it sure can decrease our life span. According to a 2011 study, reducing sitting time can increase the life expectancy of a person. A standing desk keeps you from hunching over your computer screens and reduces eye strain. Getting the right height for your stand-up desk while setting your computer screen just above the resting eye level will help you to look up slightly to see it. By simply standing, your core strength will improve, leading to a better overall posture. Using stuff for the first time involves a lot of things to consider. While standing desks promote many health benefits, you might also ponder some things when using it. Getting excited to use your standing desk and enjoying its benefits is a good thing, but what’s not good is going from six hours of sitting to zero overnight. Since your body will have to adjust to your movement habits, rushing will not do any good. Start by spending 20 minutes at a time with your standing desk, and you’ll eventually get used to it. To support your feet and enable you to stand longer, you’re going to need a gel mat. Supportive shoes are also recommended. If you feel like sitting, then sit. Since there are people who think well when they sit, it’s going to the take time to be able to adjust and learn to refocus while standing. Making adjustments on your standing desk to make it more comfortable is a smart idea. While standing burns more calories than sitting, making extra movements will also help you get optimal health benefits. Stretching your muscles will also keep your circulation and metabolism going. If you’re ready to get yourself a standing desk, you might as well bear in mind to consider the factors that make up the best standing desk. While there are a number of available choices in the market, it can be quite challenging to pick the most appropriate stand-up desk that fits your preference. Most desks are available with at least 30” depth, which is adequate for most users. Desks having lesser than 30” depth will bring the users’ face close to the monitor, causing an impact on visual capabilities, reducing the performance of the eye, leading to discomfort. Adjustable desks and tables vary according to your work habits and needs but you have to consider the availability of the space in your office. If you’re the type of person who follows recommendations, then electric or pneumatic are strongly recommended. Since crank adjustments require a lot of “cranks” to get to the proper adjustments, patience has to be present in you. Weight capacity – it should fit all your desktop items you’d like to put up. Speed – most electric desks adjust faster than others. Noise considerations – electric adjustable desks can create noises so you have to consider where to put it up. 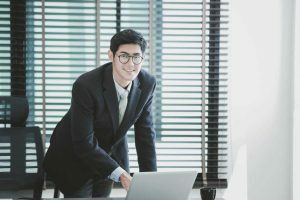 If it will be at home, then the noise is less of your concern; however, putting it up in an open work area, your co-workers will have to put up with adjustment noises. Gives you a range of vertical, horizontal, angular and rotational adjustments that will help you set your monitor at a certain height. By alternating the weight of one foot reduces fatigue which offers you comfort. Just like a footrest, the anti-fatigue mat is also recommended by a lot of standing desk users for feet support, enabling you to stand longer comfortably. All these information will help you choose the best standing desk. If you’re ready to do some shopping, here are five of the best sellers in the market that will help you get started. FlexiSpot Standing Desk is a certified best seller and is a highly recommended product by customers who have experienced its convenient height adjustment mechanism. One of the best-selling points of standing desks is its ability to switch from a sitting to a standing position in a convenient, efficient, and quick manner. That’s exactly what this desk is designed for. With the FlexiSpot Standing Desk, you don’t have to sit all day and suffer the consequences on your health. Sturdy enough to support up to 35 lbs. The very purpose of a standing desk is to provide convenience and comfort as you work while standing at your station. The FlexiSpot Standing Desk helps you achieve it with its hovering system that allows you to transition from a sitting to a standing position in a quick and efficient manner. 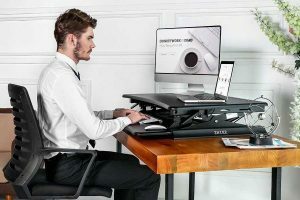 Aside from that, it comes with a whole set of features that make it easier for you to work and be productive while making sure that you can move freely at your desk. There are a lot of standing desk models in the market but only a few are reliable enough to provide you exactly what you are looking for. The Varidesk Pro Plus is one of the makes and models that you can trust. It’s designed by one of the trusted manufacturers in the industry. It is guaranteed to have excellent quality and it’s exactly what this product delivers. With this desk, you can be more productive at work and you can also prevent yourself from getting an illness due to excessive sitting at your desk. Working at your station has never been hassle and health-risk-free. With the Varidesk Pro Plus, you can ensure that you are in a comfortable work space, enjoying a conveniently-designed desk which helps you become more productive while making sure that you stay as healthy as possible. It is especially recommended to those who are looking for a simple and sleek design for a standing desk. It’s definitely a worthy investment that you can give to yourself as a present. Being comfortable as you work long hours sitting in front of your computer is not just a privilege but a right. But you shouldn’t be too comfortable that you acquire illnesses as you spend extended hours just sitting and staring at your computer screen. The Air Rise Standing Desk is designed to help you become more productive with your everyday tasks while avoiding the unnecessary neck and back pains. In addition, it helps reduce the risk of obesity, diabetes, and cardiovascular diseases in the long run. It is a product worth checking out if you’re looking for something that’s ergonomic and durable. Increase your productivity with a reliable desk that allows you to move about your station with such ease. Because of its convenient design you can switch from a sitting to a standing position in just a matter of seconds. The tiered design offers enough space to accommodate a dual monitor setup while leaving enough room for other work materials. This desk is ergonomically designed and its sturdy frame makes it very secure to work on. 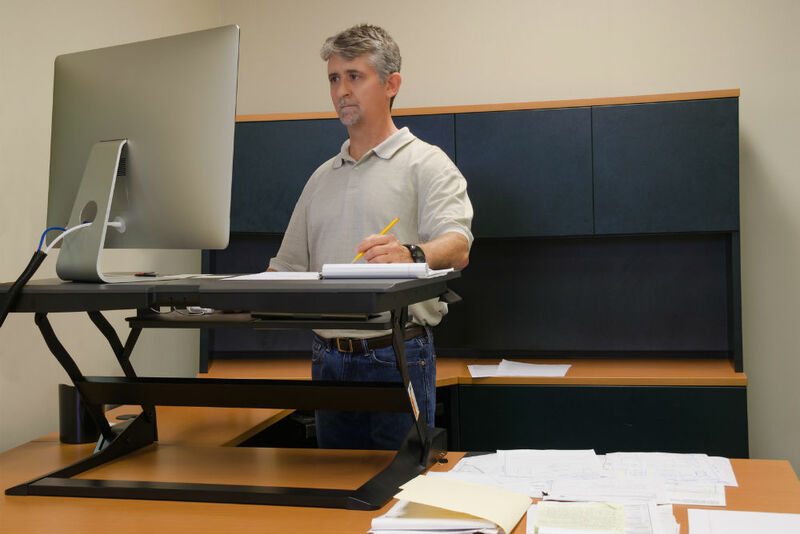 You don’t have to worry about too much sitting or too much standing when you can have the best of both worlds when you use the Rocelco ADR Height Adjustable Sit/Stand Desk Computer Riser. It is designed to easily convert your desk to a standing desk in just a matter of seconds. It has enough space for two monitors and can even accommodate other work materials. It is very comfortable to work on and conducive for working, inspiring you to be productive the whole day. Sturdy frame which can support up to 50 lbs. 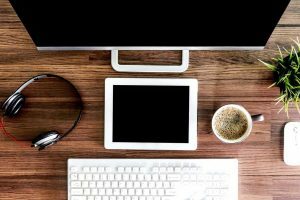 You don’t have to suffer from neck and back pains at the end of every working day due to extended hours of sitting on your desk as you work in front of your computer. 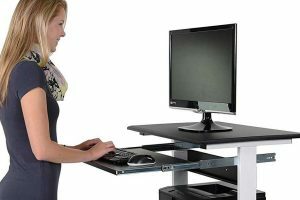 With a standing desk like the Rocelco ADR Height Adjustable Sit/Stand Desk Computer Riser, you can work comfortably and conveniently at home or in the office. It has a very reliable quality and it’s guaranteed to provide you almost everything you are looking for in a standing desk. For a very reasonable price, you can get comfort and quality in just one product. Looking at the feedbacks on different product review sites, the Halter ED-258 Preassembled Height Adjustable Desk is undoubtedly one of the most popular standing desks out there. It is very easy to operate and it can be adjusted from a sitting to a standing position in just a matter of seconds. The desk’s overall design is very ergonomic, inspiring you to be more productive in your everyday tasks. It offers a lot of space for you to work on and it can even accommodate portable devices. It is definitely a product worth checking out. Considered as a very flexible standing desk model, this product is undoubtedly a best seller. Its countless positive feedbacks posted online coming from customers who are very satisfied with the product is proof of its excellent quality and performance. The Halter ED-258 Preassembled Height Adjustable Desk is really worth investing on. It is especially recommended for those who would like to improve their workstation situation, get rid of their sedentary work lifestyle and be more productive with their daily tasks.